Well, it didn’t take long for another festival to crop up. On Oct. 16 and 17, Hamtramck will host its first-ever Oktoberfest. The idea for the event came from Kathleen Bittner and Rachel Karpinski Srodek, who helped organize this year’s incredibly successful Labor Day Festival. Bittner said that after working on the festival, she realized how rewarding it was for not only for herself but the city as a whole. By organizing this festival, she hopes to add to Hamtramck’s already well-known portfolio of worthwhile events. The Oktoberfest will be similar to other area Oktoberfests. It’s slated to be held in a tent in the parking lot between Polish Village Café and Polonia, and you can expect beer, bratwurst and other standard fare. However, it will also feature food and fun for the whole family, including a hayride, apple games, pumpkin carving and face painting. And for those who don’t want to miss the football game on either Saturday or Sunday, a projector screen will be there to display it. 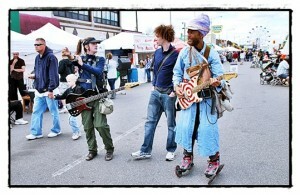 Also going on during the weekend will be the first Hamtramck Volksmarch. In Germany, volksmarches are non-competitive walks that typically span a distance of 10 kilometers, often through a forest or other scenic route. While the Hamtramck Volksmarch won’t be that long, it will offer an award to those who complete the entire walk. It looks like this year’s award will be a commemorative beer mug. As for entertainment, the Oktoberfest has a line-up that is second to none. 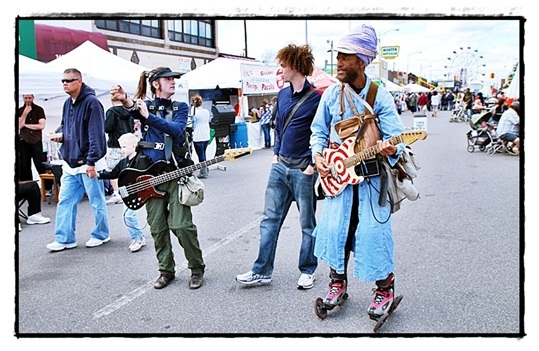 In addition to polka and German dancers, there will be a number of musical acts – many that are Hamtramck favorites. The Polish Muslims, Howling Diablos, and, yes, Danny D will all be there. Also slated to play is the Duane Malinowski Orchestra as well as the world famous Eddie Blazonczyk.